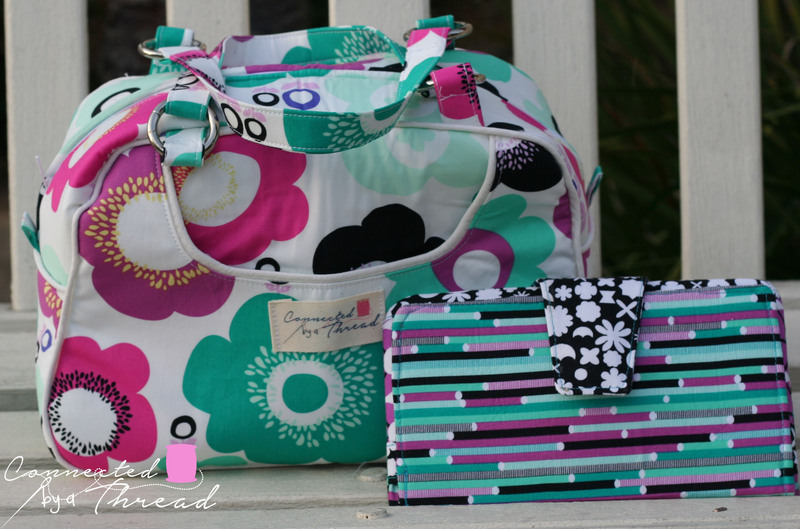 If you haven’t figured it out, I love bag making! I also love Whimsical Fabric! 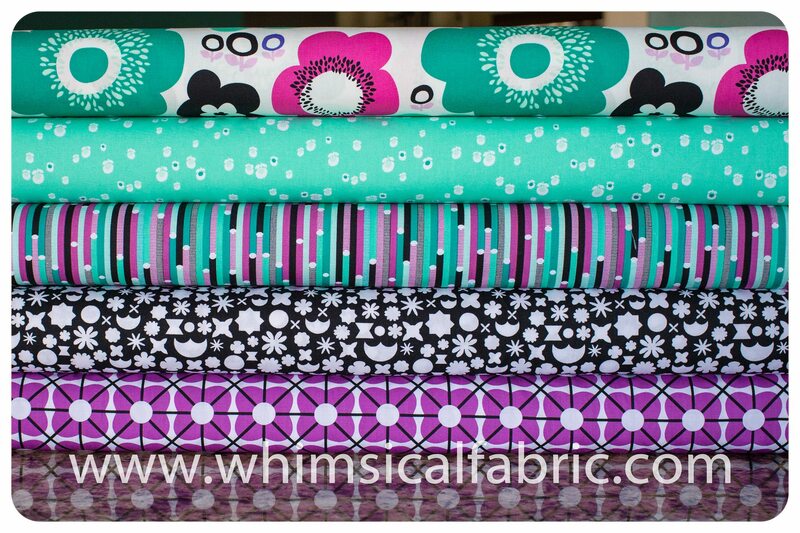 Every other Wednesday, Danielle puts a bundle of fabrics on sale in her group for a special price. I have been purchasing mine ahead of time. We have had a blast picking out patterns and brainstorming what can be done with these bundles. 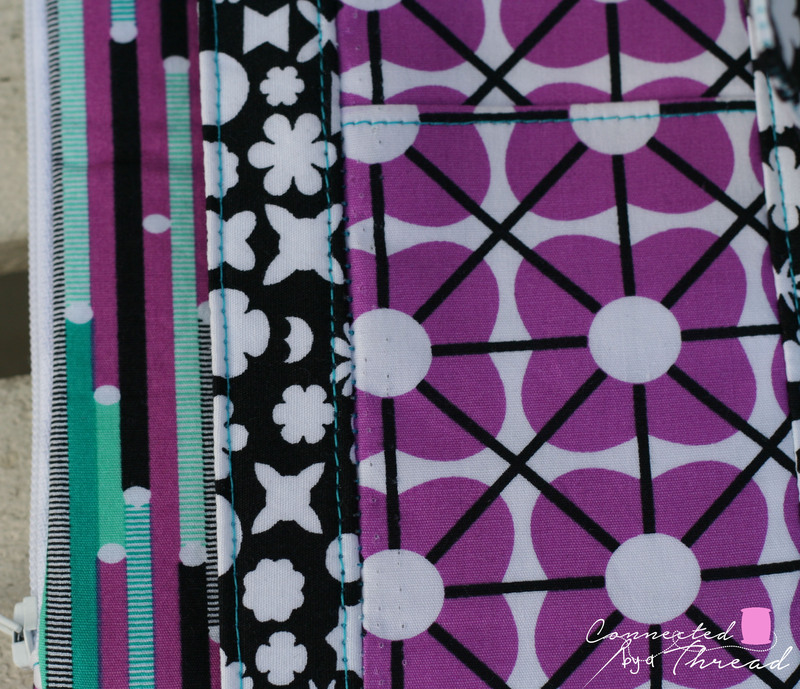 Today’s bundle is Art Gallery Fabrics Geometric Bliss in the Turquoise Angle colorway. It’s by Jenni Baker of In Color Order. For this bundle, I decided to make a Donna from Swoon. I love her construction and the ease of using her patterns. Of course Danielle challenged me to make a matching pearl to go with it. I accepted and killed it! Both these patterns were easy to put together. Let’s talk about pearl for a moment. 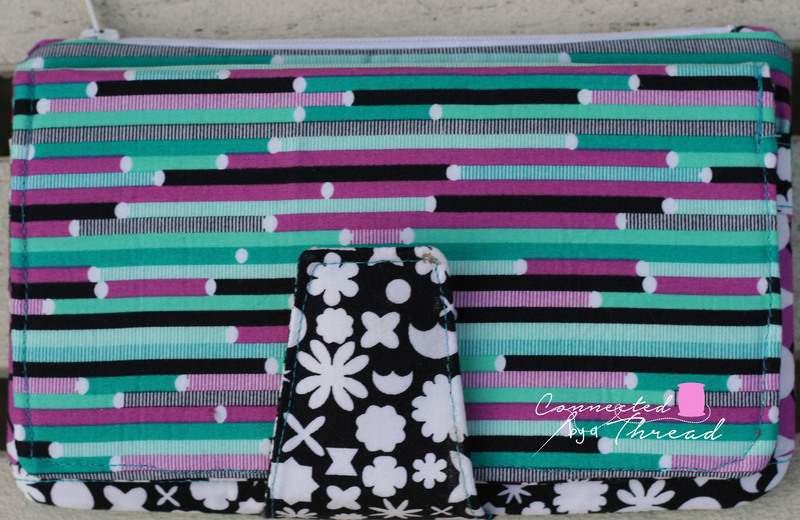 this is one of those patterns that you see and think, “there is no way I can sew a wallet!” Let me tell you, the hardest part of it was folding the card slots the right way!” Once that was done, it sewed up pretty quick! I love the entire thing! 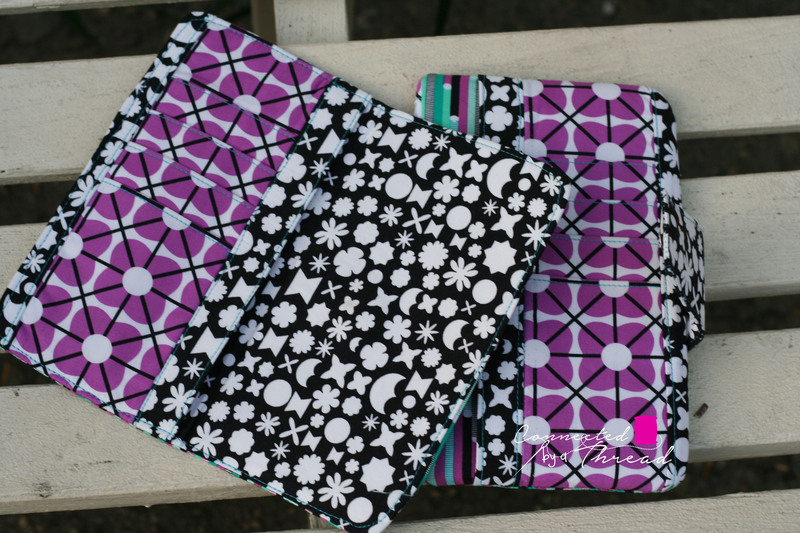 It has a removable bifold, a zipper pocket for change, and is thin enough to slip into a purse easily! 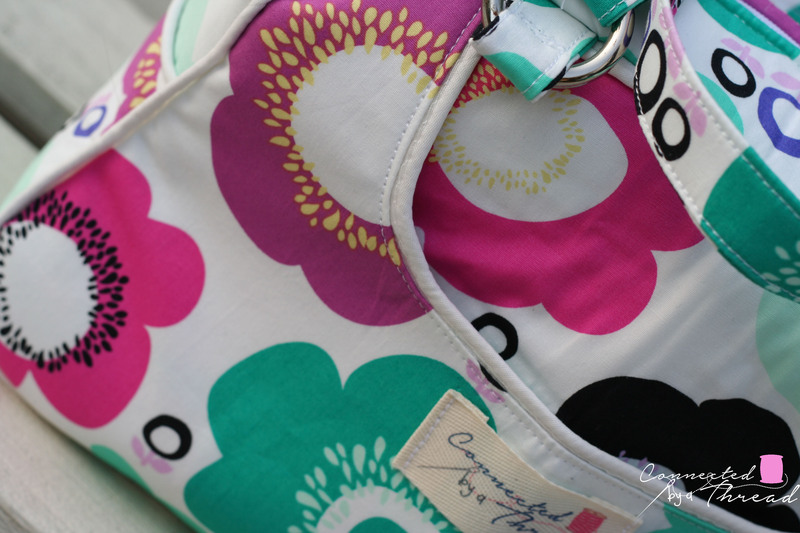 Donna was a pretty straight forward bag, a slip pocket on the outside, a zipper pocket on the inside and a drop in lining. I still struggle with the drop on linings, but I am slowly getting better! 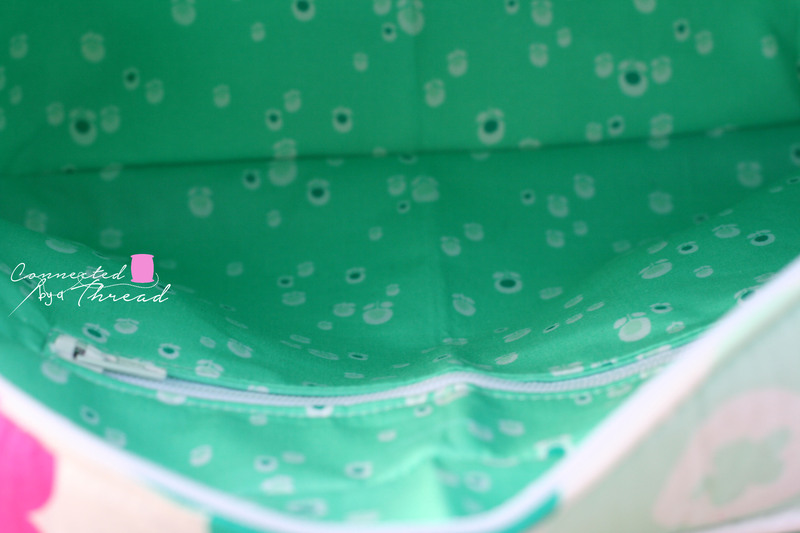 I love the front pocket with the piping detail! We posted a sneak peek yesterday in the Whimsical Fabric group, and it has sparked a lot of questions about my logo and my labels. My logo was designed by a friend from an idea in my head, but my labels I bought from a company on Etsy called Mountain Street Arts. Pam was wonderful to work with, and the turnaround was super fast! If you message her, be sure to let her know you came over from the CBAT blog! I love the mint green on the inside! card slots..probably the toughest part of the wallet! Just a reminder, the Wacky Wednesday Deal starts at 12 pm CST (10 am PST) and is good only until it sells out (and I know this one will!) so be sure to head over there and snag yous quick! Jocole Love For Myself? Don’t Mind If I Do! I bet you would rock these bags! I know you could sew one of these up! They look awesome!! Love those colors!!! Thanks Donna! I really enjoy making them! Love the bag and wallet. The colors just scream warm weather to me.